Jacko Law Group, PC (“JLG”) published its monthly Legal Risk Management Tip (“Legal Tip”), written by Managing Partner & CEO, Michelle Jacko. Ms. Jacko’s Legal Tip discusses a series of regulatory compliance considerations for those in the registered investment advisory business, brokers who are “breaking away”, and existing registered investment advisers who are joining forces with other advisers in order to accelerate growth opportunities in the marketplace. Please click here to read the Legal Tip in its entirety. 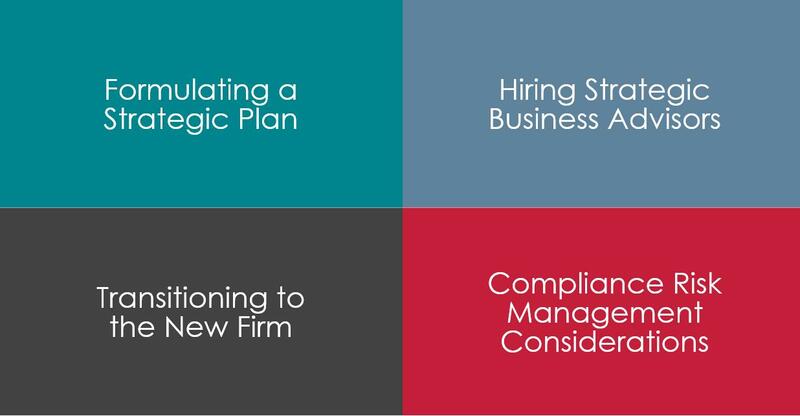 To browse our entire library of Legal Risk Management Tips, including insightful articles on a wide range of industry topics, please click here.